MobiKwik is among the most popular digital payments platforms in India and has seen tremendous growth in user base and transactions ever since the demonetisation of Rs. 500 and Rs. 1000 notes. The mobile wallet company says it has 35 million users and over 100,000 merchants on the platform, providing consumers a way to pay for goods without worrying about the shortage of cash. 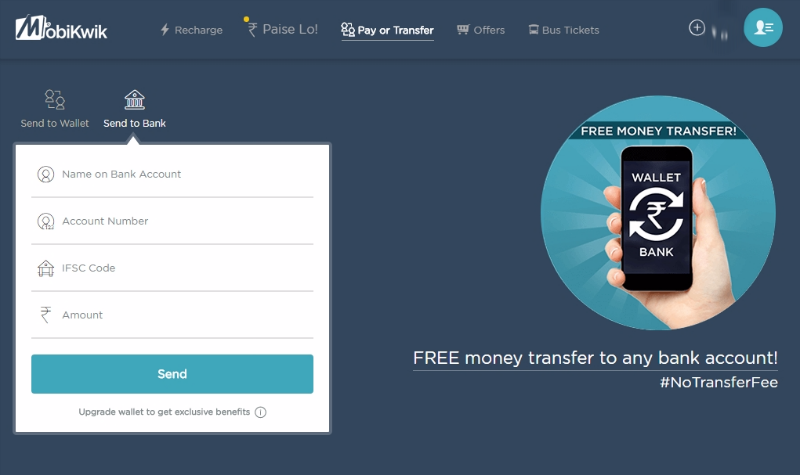 Just like rival Paytm, MobiKwik also allows users to transfer money from their MobiKwik wallet to their bank account. Post demonetisation, MobiKwik has made it free to transfer money from your wallet to the bank account. Earlier, the digital wallet company used to charge 4 percent for a non-KYC compliant user and 1 percent fee for a KYC compliant user. 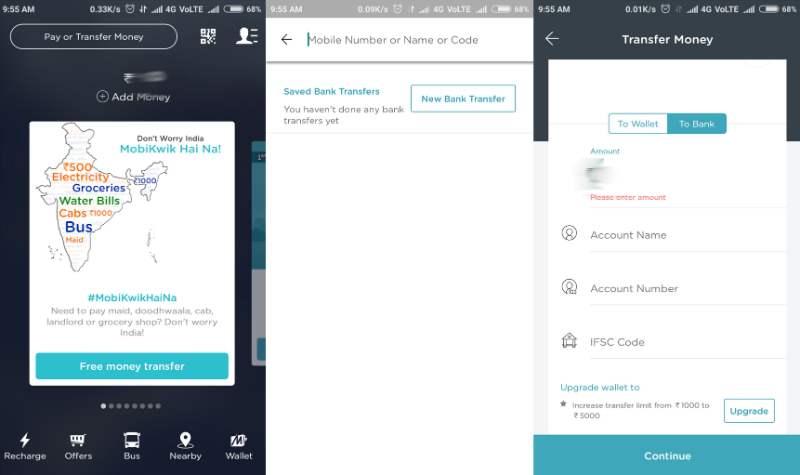 Under the PPI norms that mobile wallets have to comply with, MobiKwik has a balance limit of Rs. 20,000, which is the limit of what you can transfer to your bank at any time. As an added measure, the limit for money you can transfer to your account is only Rs. 1,000 at a time. However, you can carry out the KYC (know your customer) process to raise these limits. To do so, just choose the Upgrade your account option in MobiKwik, and you can apply for KYC. The company sends someone to your house to collect the documents, and promises that the KYC will be completed in 48 hours. After completing the KYC, you can store up to Rs. 1 lakh in the wallet, and transfer Rs. 5,000 to your bank at a time. There are no limits on how much money you can move to your bank account, after KYC. Check out our similar guides for Paytm and FreeCharge.